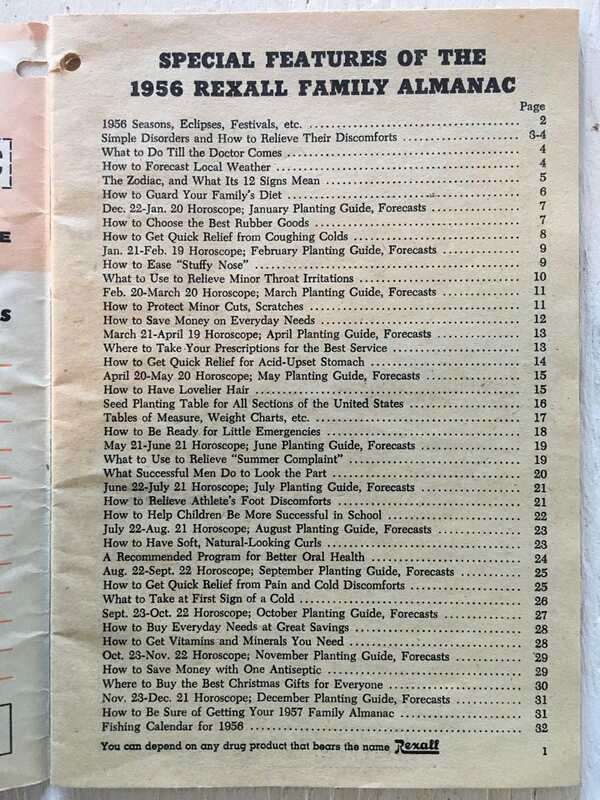 Here is a fun booklet, the Rexall Family Almanac and Moon Book form 1956. 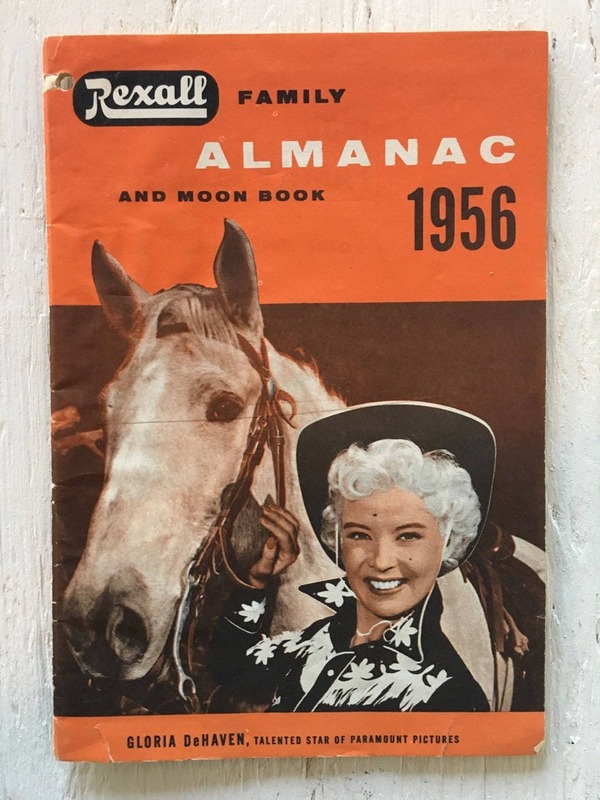 The cover features actress Gloria DeHaven in a cowgirl outfit with a white horse in a promo shot for "The Girl Rush" by Paramount Pictures. 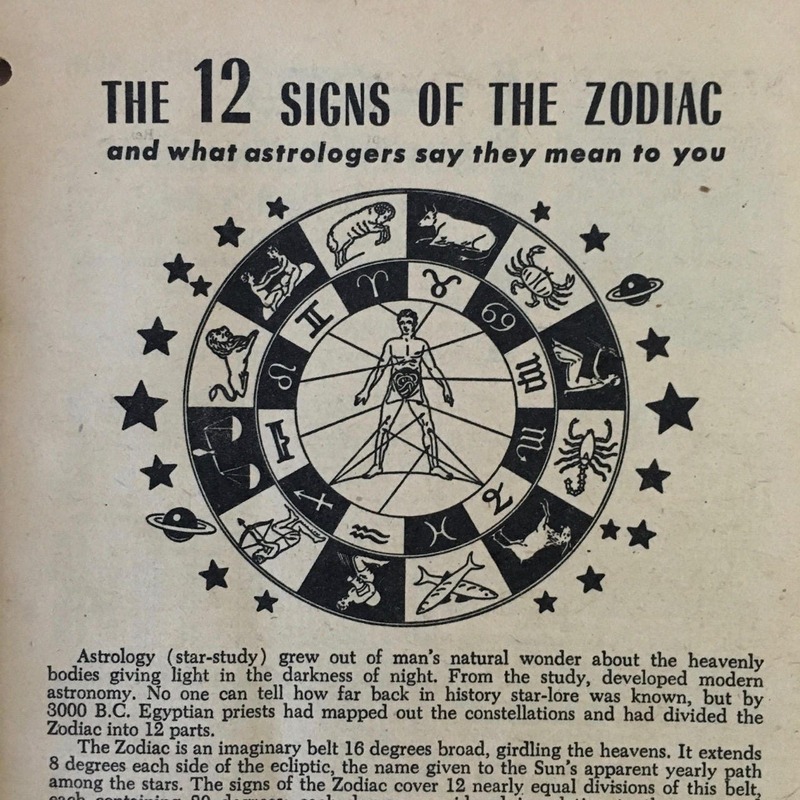 There are 32 pages of horoscopes, moon charts, farm and garden tips, weather forecasts, and other tips and info. 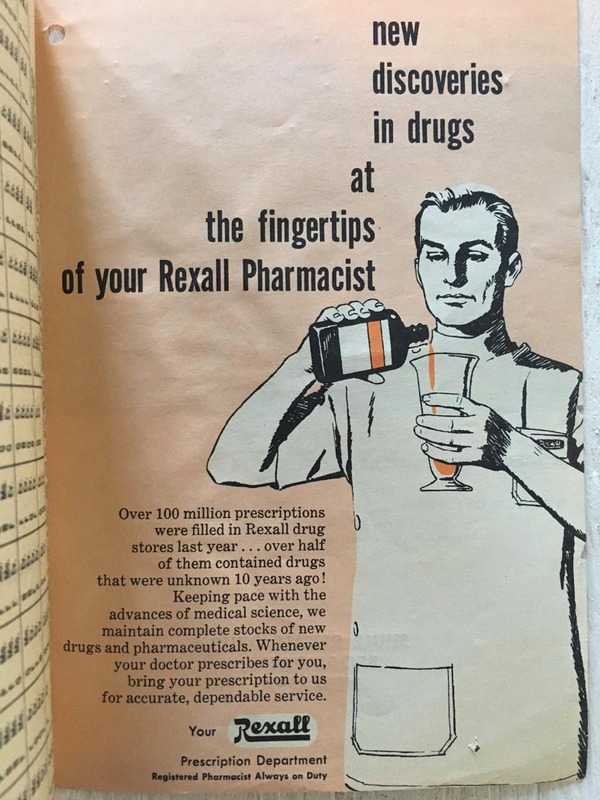 Not to mention the ads for all the wacky drugs Rexall made back then! 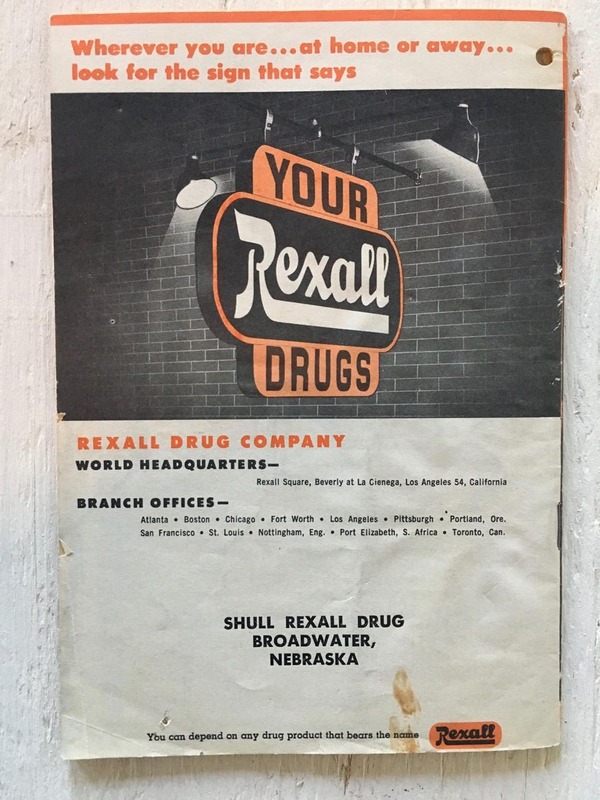 This copy was distributed at Shull Rexall Drug in Broadwater, Nebraska. It is in good overall condition with some minor tears on the cover or the occasional folded corner. If you are ordering several vintage cookbooks or other small booklets, I'm happy to combine shipping.